Ranking your website on Google is not easy if you don't apply the exact method. If you are looking for someone who can rank your site on Google then you have reached right place! I will give you 80 NICHE Relevant Blog Comments safe and effective for your site to Rank on Google and other Search Engine. You get 80 HIgh Quality NICHE Relevent Blog Comments in a 3 days for only in 5$. Any question to feel free to contact me. 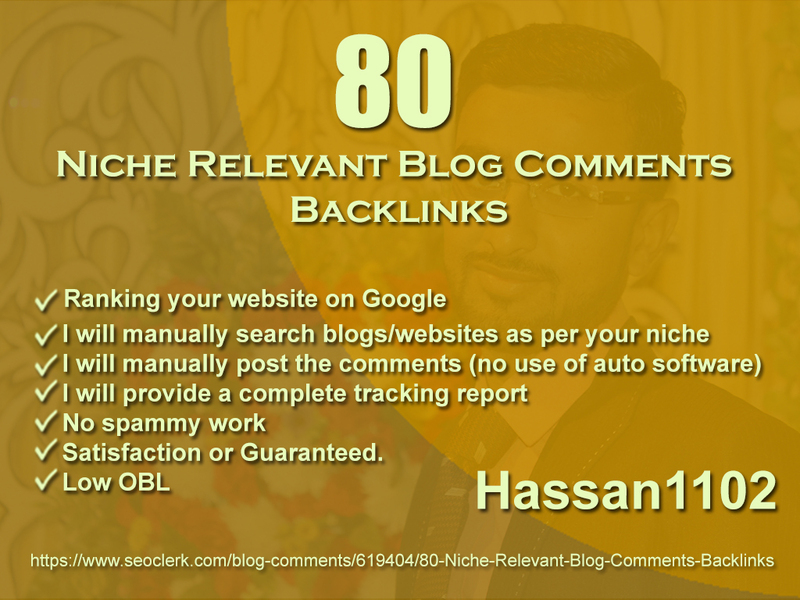 80 Niche Relevant Blog Comments Backlinks is ranked 5 out of 5. Based on 58 user reviews.